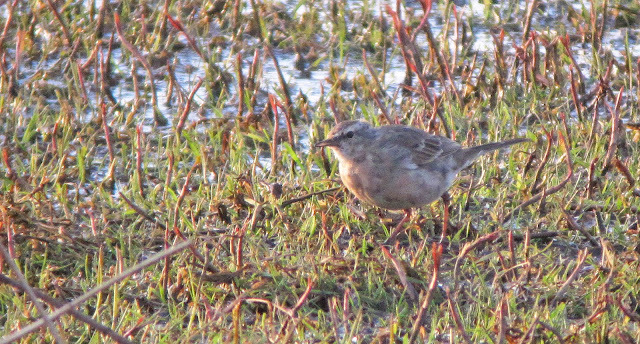 We headed to the Budge Screen for an hour this evening and had a really nice selection of birds on the fields. Most unusual were the Water Pipits with five different individuals walking around on the wet grass. 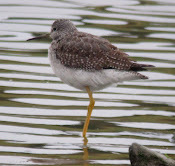 They were starting to moult into summer plumage with a nice pink wash to the underparts visible on some of them. Also nice to see were a Great White Egret, a brief Short-eared Owl, 3 Pintail, 4 Black-tailed Godwits, a Little Egret, and surprisingly, both a female Goosander and a female Red-breasted Merganser. 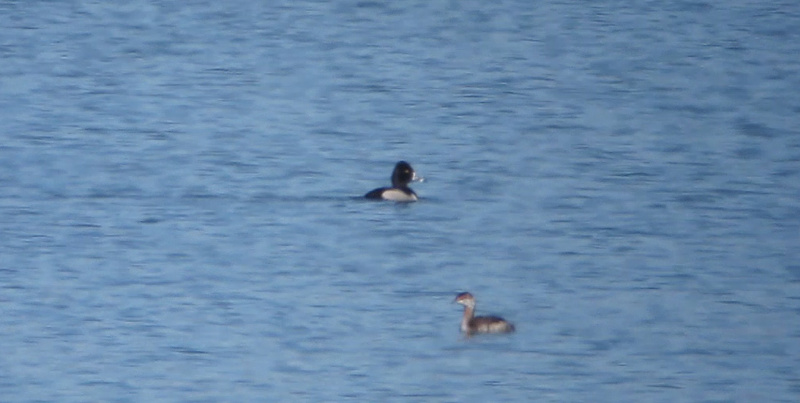 A few minutes later I was scanning the Tufties and there was a really smart drake Ring-necked Duck! 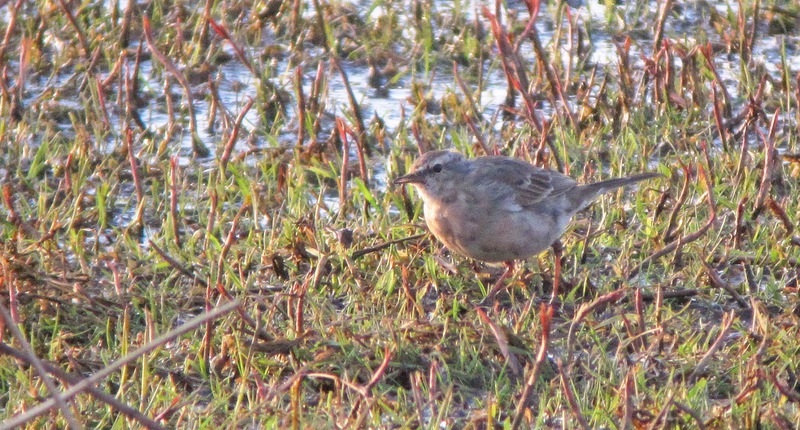 Not only a patch tick but a county tick for me as well! Other birds around this morning included 20 Whooper Swans, 12 Scaup (5 on south pool), 7 Red-breasted Mergansers, the Slavonian Grebe and a few more Pochards and Tufted Ducks than usual. Ring-necked Duck - with the Slav Grebe in photo 3! 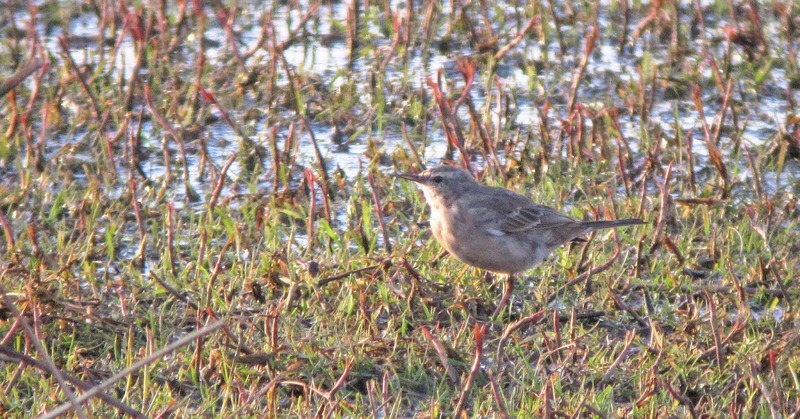 Me and my dad continued our poor run of form with eastern thrushes in Northumbs this evening, being unable to relocate the Black-throated Thrush at Prestwick Carr. 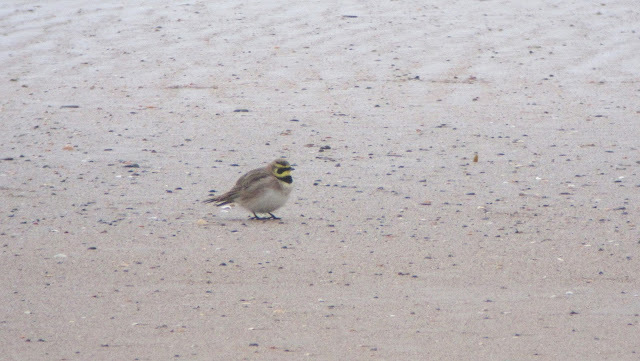 So that's White's, Eyebrowed and now two Black-throated Thrushes we have't seen in Northumbs over the past six months! On arrival at Chevington the rain had forced 8 Sand Martins low over the pool. 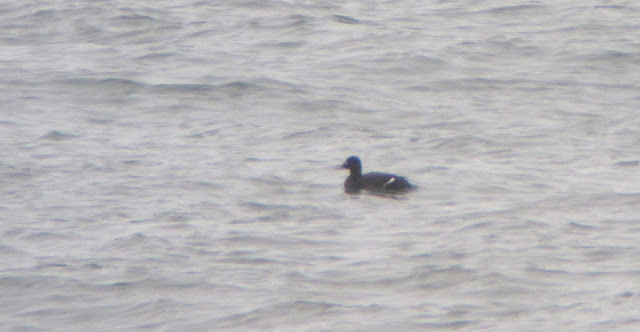 The Slavonian Grebe was still present on the pool along with 8 Scaup, but it seemed the Pacific Diver had finally moved off. 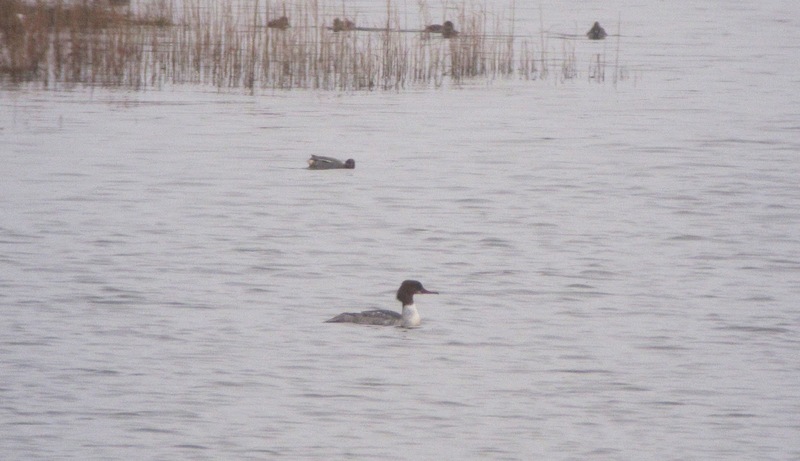 A female Goosander had joined the 7 Red-breasted Mergansers and was my first of the year on the patch. Whooper Swans were around in good numbers with 128 in the south pool and another 70 in a field just to the south-west. A walk down to the burn mouth produced 4 Shore Larks and a flyover Twite and Snow Bunting, while 3 Velvet Scoters were showing pretty well quite close offshore. Other birds seen recently include 5 Avocets at Cresswell, several Chiffchaffs, 3 Scaup at Bothal Pond and a Short-eared Owl and 61 Whooper Swans at Longhirst Flash last weekend. 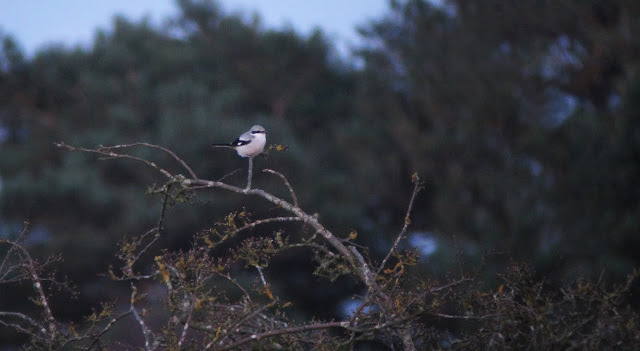 My dad had a male Wheatear here this afternoon.